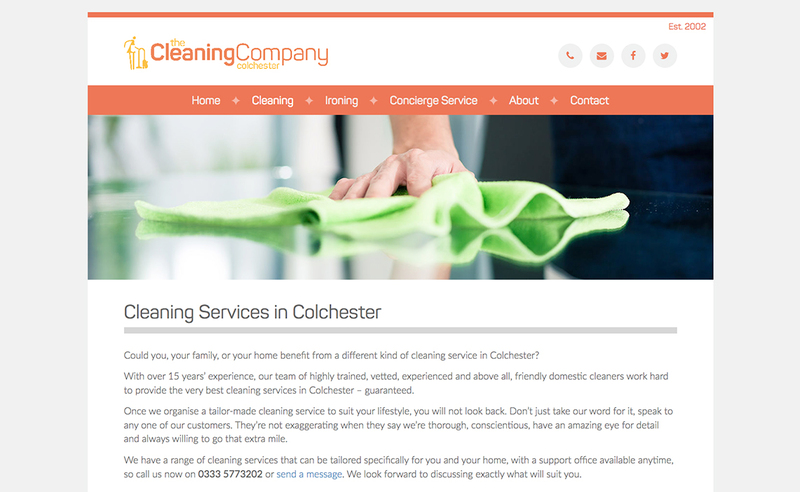 The Cleaning Company Colchester came to us with a business that had been running for a long time, but in another area. 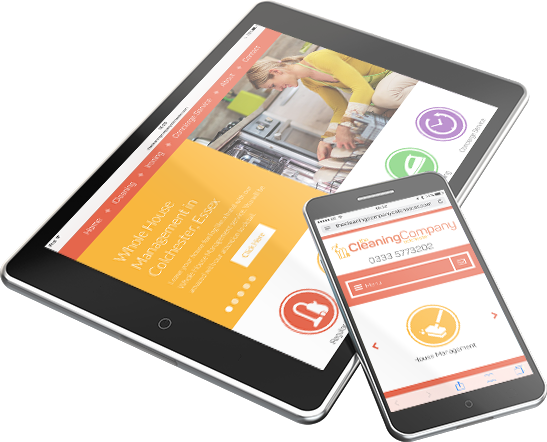 The brief was to redesign the website with a fresh feel, professional whilst being different to the many other companies in the market place. They wanted to show their long history and experience in the industry, but with a personal approach. As with all our bespoke websites, this design was no different, built from the ground up with no use of templates, allowing all the elements to flow perfectly with no limitation on functionality. 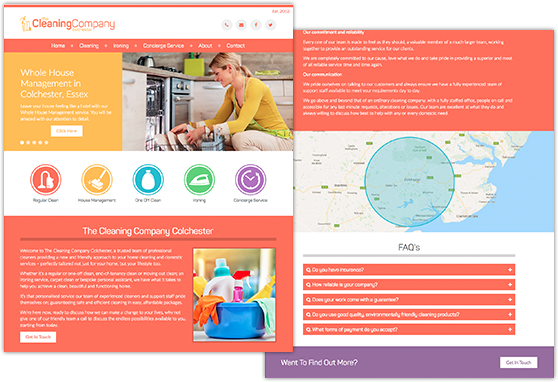 The brief was to redesign the website with a fresh feel, professional whilst being different to the many other companies in the market place. Built in WordPress this ‘flat’ design encompassed primary colours, distinguishing the various facets to the company’s portfolio. Yes, they are a cleaning company, but they wanted to show they offered more, promoting diverse products for their clients to make an informed choice. And the addition of gift cards as another ‘call to action’ allowed a further level of sales to the client. We also added a new brand to the company in the form of the Concierge service. 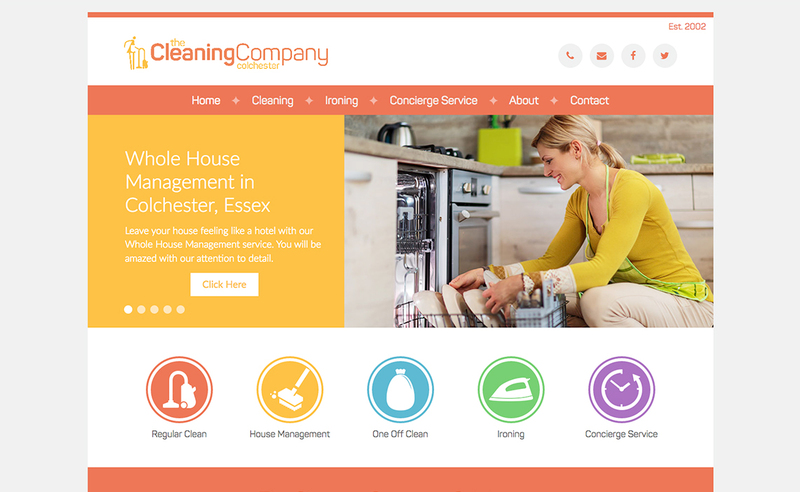 This included a logo and colour scheme, which would eventually move on to allow the company to brand this service in its own right as a standalone business. 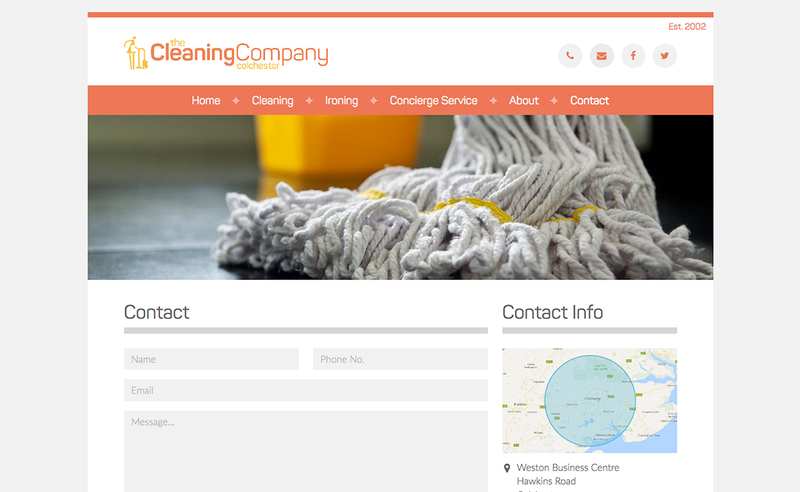 With the simple, yet elegant design, the clever choice of images, colour-matched to their respective service, easy contact information via buttons and forms, call to actions at every turn and subtle animation via roll-overs, page scroll and sliders this website easily stands ahead of its competitors to do what a website should do… Bring in business for its owner.